Shopping online is something that people do every day. We have come extremely far in technology that allows us to easily shop from the convenience of our own homes. The modern era has changed how we shop for toys, clothes, jewelry, and home goods. But there is a gap that people often seem to forget that they can buy online for and end up saving a bundle of money. And that, my dear readers, are glasses. According to research done by the Vision Impact Insitute, 75% of people in the United States have vision correction, and most of them use glasses. And this is where GlassesUSA.com comes in. 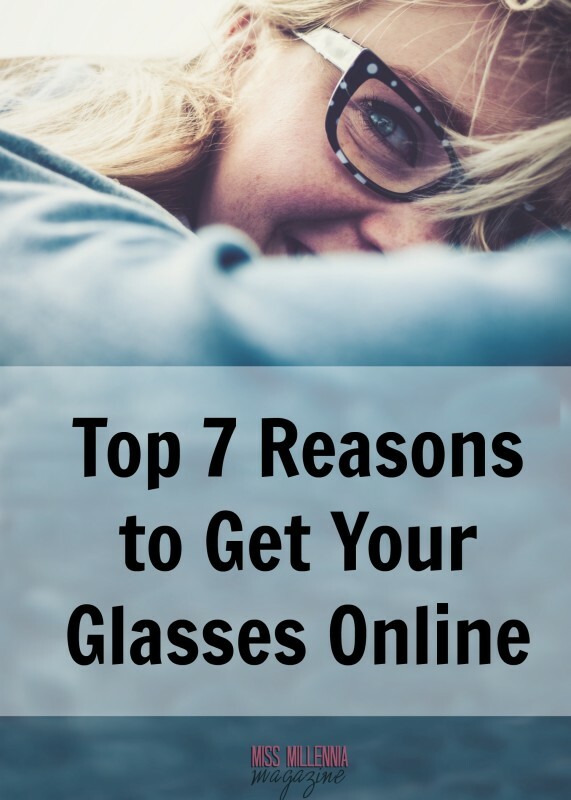 Here are the seven reasons why you shop get your glasses online. GlassesUSA.com offers quality prescription glasses at great prices. On average, customers save up to 70% on glasses then what they would find at retail stores. A complete pair of glasses starts at only $48 with the lenses. GlassesUSA.com offers free basic lenses (just clear) with every frame! Reason #2: Great Deals For First Time Users! GlassesUSA.com also offers 50% off the first pair that a customer orders when signing up. Reason #3: More Of A Variety. When you shop online, you can be sure that you have seen all that you could possibly see. So you know you are getting a great price for exactly what you want. There are no second guesses when you know exactly what the store offers. All of the glasses that are offered by GlassesUSA.com are made by a professional at an in-house state of the art lab. The lenses that are offered are just as high quality as any retail store! Reason #5: You Can Still Try The Glasses On Virtually! GlassesUSA.com has an awesome feature that allows you to try on glasses right on their website. All that you have to do is upload a picture of yourself to their Virtual Mirror and voila! You can now try on any pair of glasses that you’d like. Shopping online means that you are at a lower risk of not being screwed over by the store. Most online sites offers free shipping & returns, free exchanges, price match, 365-day product warranty. What else could you need? Do you like having a little extra for your glasses such as tinted lenses for prescription sunglasses or a pair of multifocal lenses? Although they do cost a little extra, you can get exactly what YOU want, and you won’t be pressed into buying any more than what you need. Shopping online can take a little getting use to. And it has honestly, taken me a whole lot longer to fall in love with it than what many people would assume a shopaholic like myself would. But today, I love the many different opportunities that shopping online allows. So try out GlassesUSA.com today and find that perfect pair for you and the whole family! This is a sponsored post on behalf of GlassesUSA.com. All opinions are 100% my own.